Rita Lor, MA, CCC-SLP is a Speech/Language Pathologist at the Emory Rehabilitation Hospital in Partnership with Select Medical. She joined Emory Healthcare in May 1979. She provides clinical services to outpatients with disorders of speech, language, voice, cognition, and swallowing. A native of Kentucky, Rita received her Bachelor’s of Arts in Communication Disorders from Indiana University and went on to receive her Master’s of Arts in Speech-Language Pathology from Memphis State University in 1986, with a special interest in adult neurological disorders. During Rita’s 30 years of experience as a speech/language pathologist, she has practiced in all phases of the rehabilitation continuum from acute care, through inpatient rehabilitation, Day Program/Outpatient, to home health rehabilitation. Part of Rita’s extended training has been in the area of treating communication disorders associated with Parkinson’s disease. She is a Lee Silverman Voice Treatment (LSVT) LOUD certified Speech-Language Pathologist and enjoys collaborating in treatment with the physical therapy aspect, BIG, of this unique program. 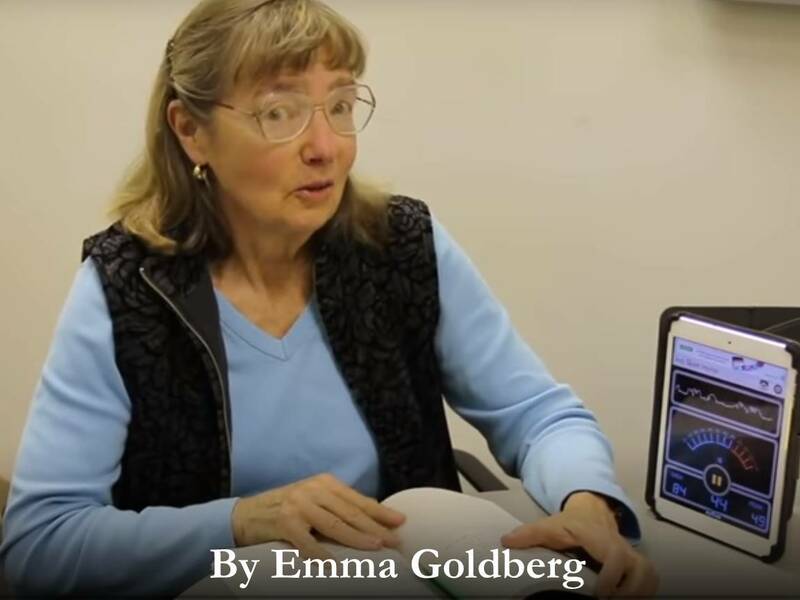 Her other professional interests include neurologically-based cognitive-linguistic deficits in adults and cognitive/communication disorders in adults as a result from Mild Traumatic Brain Injuries. Rita is a member of the American Speech-Language-Hearing Association. Maria Birdseye, joined by her speech therapist Rita Lor demonstrates the power of poetry in light..